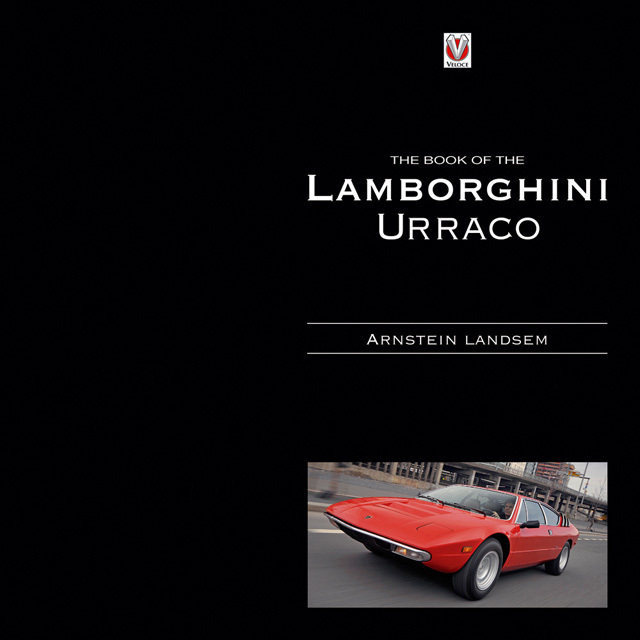 The book jacket refers to the Urraco as a “future supercar classic.” Well, production of this lesser-known (and often misspelled) Lambo ended in 1979—and the 791 Urracos still haven’t become classics. Or supercars. On today’s auction market you could buy 10 of them for the price of one tired Miura or one top-notch Countach. Nor have its immediate successors, the Silhouette and the Jalpa, set the world on fire even if Jalpa sales did prop up the company in the 1980s. This book takes a stab at explaining the situation. Unveiled at the 1970 Turin Auto Show and for sale as of 1972 as an entry-level model, this mid-engined 2+2 coupé aimed at a market ranging from the Ferrari Dino to the Alfa Romeo Montreal to the Mercedes 450 SLC. Stylistically, Bertone’s Marcello Gandini’s design ushered in a new era, harkening back to the Miura (ended 1972) and foreshadowing the Countach (started 1974). More importantly, it upped the ante by playing the V8 card. 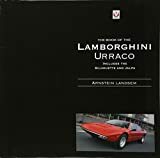 Most Lamborghini books relegate the V8s to a sidebar or at best a single chapter, so if, on top of the Urraco story, the overall history of the V8 models is of interest to you this is pretty much the only book on the market. The author, a Norwegian journalist, has particular affinity for the Urraco because he owned one. 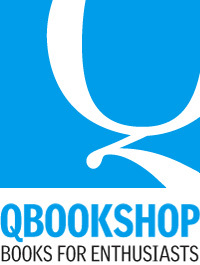 And even though he doesn’t anymore, he’s remained fond enough of the marque to have its logo tattooed on his arm. 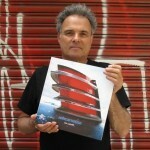 Many people were consulted in the making of this book, both company personnel (including Urraco engineer Paolo Stanzani) and modern-day owners. A sympathetic Foreword by Lamborghini test driver Valentino Balboni, who joined the firm in 1968 as a mechanic apprentice and worked on the Urraco (he retired in 2008), makes a point that is being expounded throughout the book: that the car did not succeed was not for lack of trying, shoddy build quality, or incompetent performance. The first 50 or 60 cars did have glitches but Lamborghini fixed them, and the improved cars found favor with the press and acquitted themselves well in road tests. Ferrucio Lamborghini “loved” the Urraco and had one of the “little jewels” as a personal car. Balboni says it was as state-of-the-art as the times allowed. So what then? 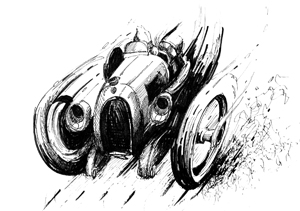 Among the answers Landsem offers are chiefly “mechanical complexity” and “subsequent owner neglect.” This is well borne out by chapter 7, “The Urraco Today,” which paints a frightful picture of costly nightmares (both chassis and coachwork) entirely surpassing the DIY level of skill and frustrating even pros like Alfa Romeo engineer Carlo Chiti or the late California Ferrari specialist Herman Thelier. (No wonder that half the owners who were interviewed for this book had non-working cars!) This chapter also includes pre-purchase checklists, notes on parts exchangeability, and an interesting photo spread of a Urraco used as a tow vehicle for a camping trailer. 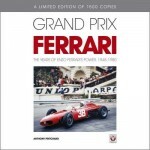 The first few pages relate a brief history of the origins of the firm, with special emphasis on the friction with Ferrari and the short-lived Bizzarini era. (A better treatment of this topic is in the same publisher’s Miura book.) Detailed exposition of Urraco development and production enumerates the good and the bad, the constant struggle for money, the changing markets, the fuel crisis. Not to mention . . . communism. The latter aspect is, indeed, not without relevance but is treated here in too cursory a manner to be really useful. (Goodfellow’s Iso Rivolta book is a good one to consult for the really big picture.) All production versions are covered (also test driver Bob Wallace’s one-off “Urraco Rally” special), as well as the Bravo and Athon concept cars. Several pages of road tests (a 1974 review in Penthouse is declared “the all-time best”) round out the picture before some 40 pages discuss the Silhouette and Jalpa models. Appended are detailed technical specs for the 240, 250 and the 111 US version, 300, 200, Silhouette, and Jalpa; annual production figures; ca. 2010 market values; performance figures; and a summary, with photos, of 14 cars that were considered competitors (doesn’t include the Matra-Simca Bagheera although that car is mentioned elsewhere in the text). The Index is slim and must have been done before the paging was finalized because some entries are off. The book is well illustrated showing every aspect of design, production, and road use. There is lots of Bertone and Lamborghini archival material such as drawings and ads. Regarding drawings, special mention should be made of David Rodriguez’s color artwork. Interestingly, some of the privately owned cars are photographed in the style of the old factory brochures replete with breathless swooning models. (They are gratuitous at best but showing several of them twice, mere pages apart, is an insult to the reader’s attention span.) Speaking of models, there’s even a page of photos of Urraco model cars. 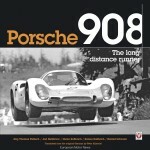 If you own a Urraco, or any Lamborghini V8, this book may not be the only one you need but is the only one you got. If you are thinking of a Urraco as an “affordable” entry into Lamborghinidom read ch. 7 first! Then think about running.